Multilingual content and e-Learning solutions that enable manufacturers to capture global market share with confidence. The automotive industry is among the world’s most rapidly expanding industries with the number of cars worldwide surpassing 1 billion in 2010. Whether you’re trying to reach drivers in emerging markets or compete more efficiently by opening new plants with local workforces assembling components sourced from suppliers internationally, effective communication across multiple languages can help manufacturers confidently capture market share. Despite some tremendous opportunities, the automotive industry is facing increasing competitive pressure globally, with smart localization integration early on in the development process becoming increasingly important as a result. Accurate translation of key product information is critical; it directly impacts the safety of millions of vehicle owners. However, the quality measurement of language translation has traditionally been a subjective matter. To establish quantifiable metrics that could be used to compare quality of translation deliverables for automotive companies, representatives of General Motors, Ford, and Chrysler, together with representatives from translation suppliers, convened in the fall of 1997. Under the auspices of the SAE E/E Diagnostic Systems Committee, the task force established the J2450 standard to objectively measure the translation quality of automotive service information regardless of the source/target language and the methods by which the translation is performed. CSOFT has a strong presence in China, the world’s largest automotive market. We have three localization hubs in the country in Beijing, Shanghai, and Shenzhen, three of the leading metropolitan centers in China’s north, east, and south regions. We have linguistic and local cultural experts with strong automotive experience ready to serve all your translation and interpretation needs. Don’t take chances with amateurs for your automotive translation. Poorly translated operation manuals, service manuals, maintenance information, and advertising can cause major damage to your international brand. When it comes to safety manuals and compliance documents, inaccurate translations can also lead to product recalls. Automobiles are complex machines that come with much documentation. Ensuring that all of the information is properly translated is one of the first steps toward developing customer satisfaction and achieving global success. By combining in-country linguists that specialize in highly accurate automotive translation and best-of-breed language technology and processes, CSOFT redefines automotive localization with consistent quality and affordable solutions. We understand the importance of around-the-clock, global language support for our automotive clients, whether it’s onsite interpretation at the Beijing auto show or a service manual update to needed to meet a delivery deadline in a Czech factory. In addition to having multiple production centers in different time zones around the world to ensure that we are always available, our dedicated team works harder so that our clients don’t have to. One of the most often heard comments from our customers is that CSOFT staff never seem to sleep! 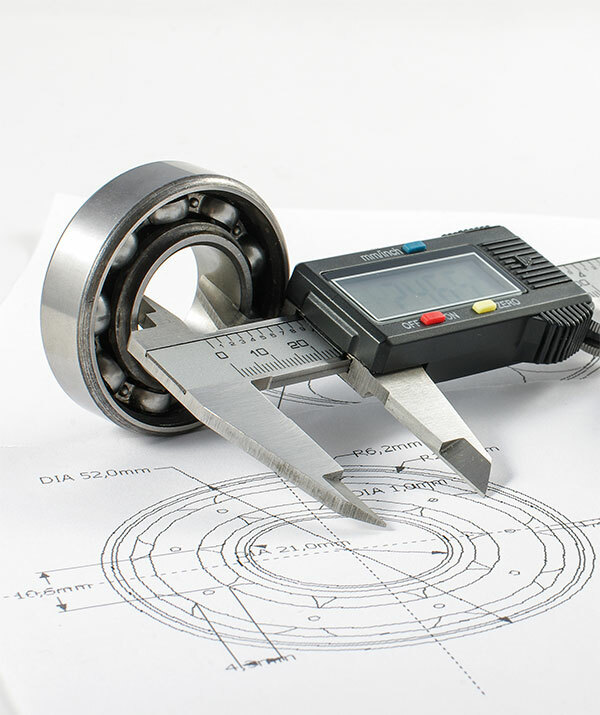 Ensuring terminological accuracy and consistency across product literature is perhaps the most important step in quality automotive localization. The automotive industry is a multi-disciplined business sector with a vast vocabulary of highly technical verbiage covering many fields. Even if an author or translator has received specialized training in the automotive field, it still takes time to research terminology during the content development and translation process. When many translators have to work on the same project due to a very tight deadline, achieving terminological consistency may be challenging. However, we have an answer to this problem. We developed industry-leading terminology solutions that allow linguists to look up terms and approved translations in real time, thereby allowing them to focus on doing what they do best: technical writing and translation. With increasing attention given to R&D on a global scale, the transfer and trading of technology is an increasingly common occurrence. As companies and intellectual property are bought and sold over borders, maintaining technical accuracy in these transfers is of paramount importance and can be further complicated when two companies involved in the deal operate in different languages. 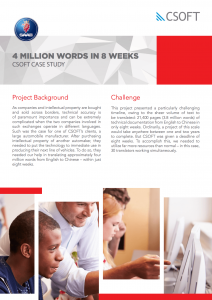 Such was the case for one of CSOFT’s clients — a large automobile manufacturer that, after purchasing technology from another automaker, needed to put the technology to immediate use in their next line of vehicles.